...But Today YOU Can Get My Advanced System to Capture His Heart Through Touch And Save 81% OFF And Get 2 Bonus Videos For FREE! Knowing how to connect with a man's heart in a way that makes him yours forever. The advanced program retails for $399.85 but today because you are new customer, I'll give you a special one time only discount of 76% Off and you get 2 additional bonuses completely FREE! When you put my advanced system to work, it’s almost unfair how quickly these additional advanced techniques dig into a man's heart and make him yours, faster and easier than you could have ever thought possible, with 100% guaranteed accuracy. I know you'll get rapid and amazing results in days, not weeks or months. I'll even throw in the other 2 bonuses listed below as a FREE gift because you decided to take action today. Now really, it isn't even a decision because if you invest in the advanced program today then I'll throw in the other 2 videos you see below absolutely FREE! The 4 deadliest mistakes women make that ruin the intimacy, desire, and appreciation that a man has for you. If he isn't stepping up and you feel like you're keeping the relationship afloat, it's probably because of one of these 4 things. How to amplify his attraction and desire for you so that he'll constantly strive to make you happy and spend your time laughing and enjoying each other's company. How to become a fountain of love that your man finds irresistible. There are three stages to this and where you are determines how he feels about you. How to supercharge your intimacy together. There are 5 components to this. Most people only focus on 1 and then wonder why they are as close to their man as they want to be. My 3 step formula for communicating your needs - if you feel like you're not getting your needs met in your relationship and you want him to WANT to meet them, use this. Works every time. How women accidentally hurt men without even knowing it... if your man is pulling away and getting distant from you, this is often the cause. 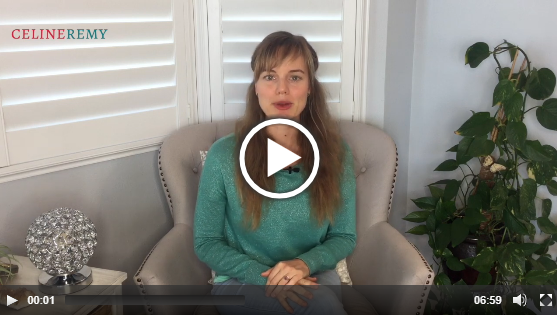 In this instructional video, I'll show you 3 myths that will DESTROY your intimacy with a man. If you believe any of these three myths you will almost certainly harm your relationship with your man and he'll feel like he wants something better out there. And what to do instead that will make him feel like it's exactly what he wants to do for you. And you're also discover a common misconception about what men want which can lead to both of you feeling empty when you're intimate. I'll clear this up and explain what you really need to know so that he feels like you're everything he wants and needs in a woman. In this instructional video, you'll discover the 6 things that combined together make him FEEL like you're the woman he's been searching for his entire life. A lot of women leave this stuff up to chance only to find out that a man was searching for something very specific that he didn't experience with you... which only makes him keep searching. If you want him to stop this search and decide that you're the one he wants forever, you need to know what these 6 things are and how to use them with him. If you add it all up it comes to over $493.85, but just for this one time only, you can have all the above courses for a extremely low price of just $97. That's a "WHOPPING" 81% discount for all of it! Yes Celine, I definitely want to take advantage of this one time only massive discount offer. Please add the above courses to my order for a one time only payment of just $97. I’m so absolutely sure that Touch of Love Advanced Course will help you get the commitment that you’ve always wanted that I’m offering an unconditional, NO-question-asked 60-day money back guarantee. If for whatever reason Touch of Love Advanced Course does not satisfy you in any way, simply send us an email within 60 days from your purchase and we’ll refund you right away! Hey Buddy!, I found this information for you: "TOL – Upgrade 1". Here is the website link: https://commitmentconnection.com/tol-upgrade-1/. Thank you.